Sports Guard/Mouth Guards-by acting as a shock absorber, they protect against concussions and neck injuries. Sports guards also protect the front teeth by distributing the forces over all the teeth as well as protect against other orofacial injuries. Today, sports guards come in many different colors and designs. 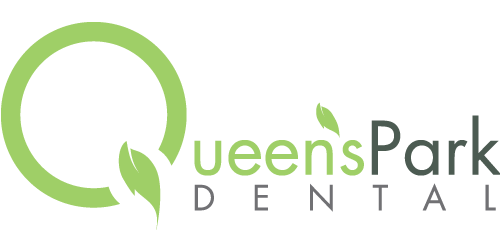 A proper and custom fit sports guard can be made by your dentist at Queen’s Park Dental. For more information on Sports Guards, check out our Blog. 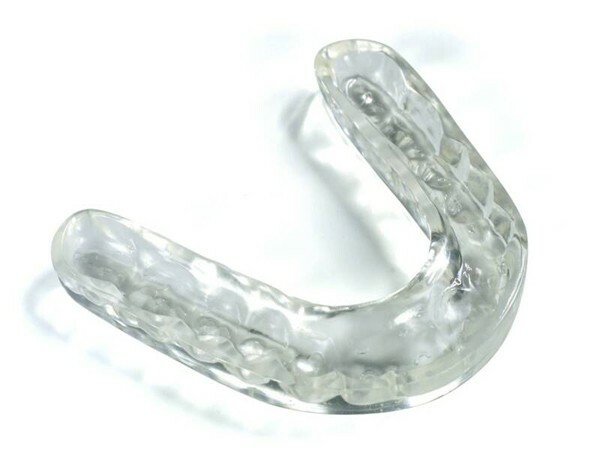 Night Guards – a custom fit night guard made by your dentist is used to treat bruxism (teeth grinding) and clenching. Some bruxing symptoms include headache, stress, anxiety, ear aches, and sore jaw. Night guards are usually made from a thermoplastic material that soften when placed under warm water. When it is placed in your mouth and cools down, it becomes more rigid. 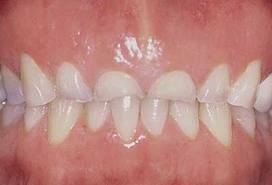 Night Guards have the shape of a horse-shoe (U-shaped) and sits on the biting surfaces of your upper or lower teeth. Night guards help protect your temporomandibular joint (TMJ), prevent tooth damage, aid in the stabilization of your bite, and help relax your chewing or masticatory muscles. Although worn at night to protect against involuntary muscle movements, some patients wear them during the day to protect their teeth and muscles from clenching. 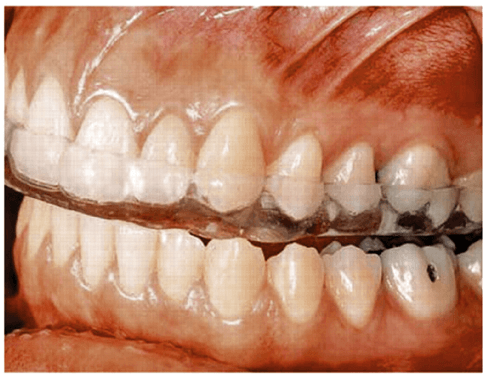 For more information on Grinding/Bruxism, check out our Blog.